News ArticleShaq Fu Radio NewsShaq's Daughter Me'Arah O'Neal Has Game. Shaquille O’Neal is widely regarded as one of the best basketball players of all time; he is a 15x NBA All-Star and 4x NBA champion. Shaq’s oldest son Shareef has already committed to UCLA for basketball while his other son Shaqir is quickly rising as one of the best prospects in the 2021 class. The latest O’Neal to take the basketball world by storm is 12-year old Me’Arah O’Neal. Me’Arah showed off her unique skill set this past weekend with the Team Suppa Time National girl’s team. 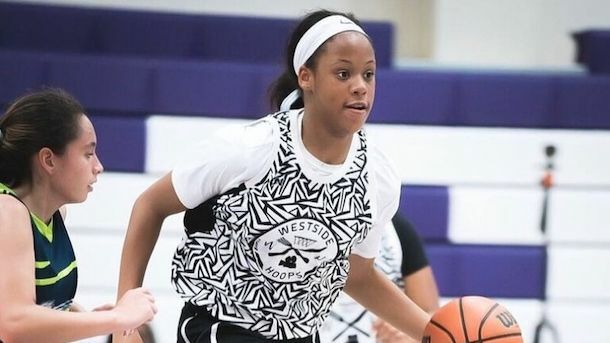 Me’Arah is 6’3 so obviously size is an advantage but her skill set is also very refined for someone her age, she is a dominant force on both sides of the ball and definitely one top players in the 2024 class. Basketball is in her DNA, don’t be surprised if Me’Arah becomes one of the top high school recruits in the country.